Countertops in kitchen, washbasin in bathroom and custom washbasin in toilet. Construction company Damman in Deerlijk has chosen to welcome their customers in style with this wonderful reception desk. A strong piece of craftsmanship to be proud of! 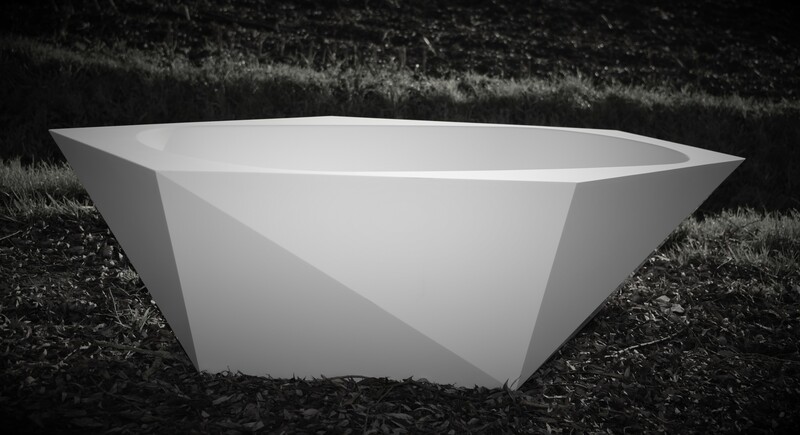 Designed by Sabine Rosseel we have created this coffee table / fire bowl that is suitable for both inside and outside! 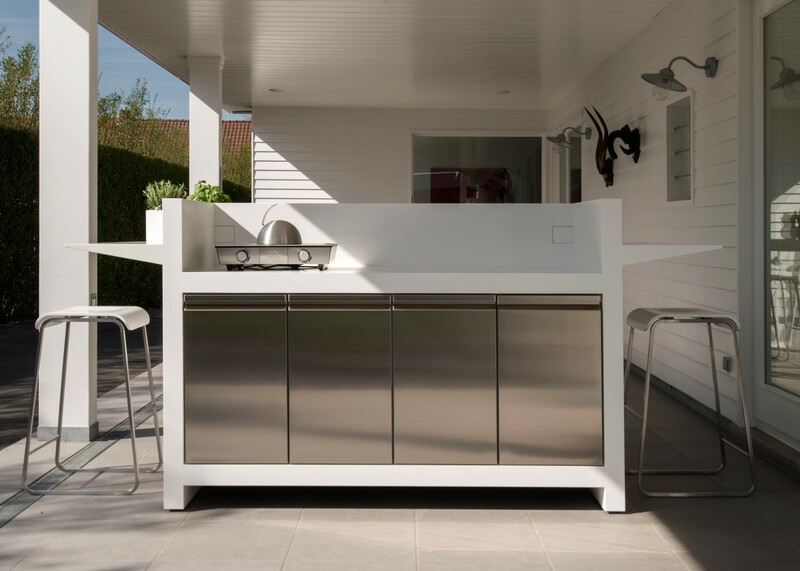 This outdoor kitchen is completele made out of Corian Glacier White on a stainless steel frame. 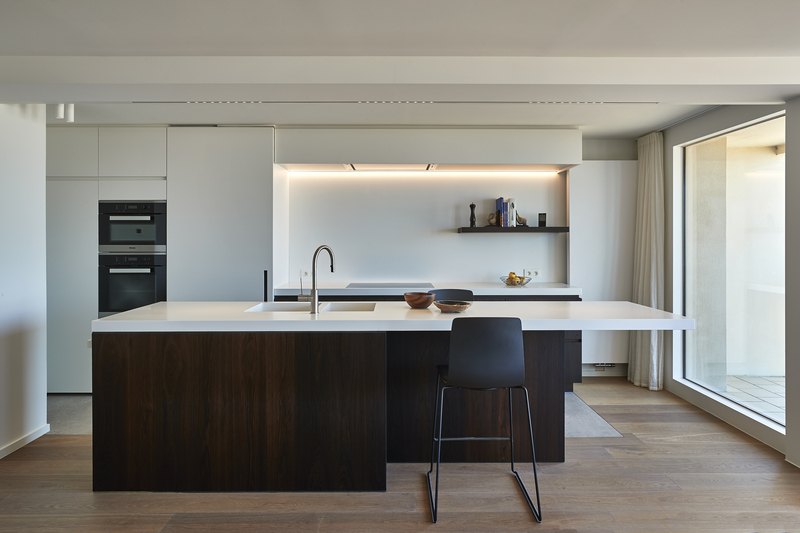 This unit will serve both as a bar and as a table where 8 people can take place to have a lovely meal. The unit is equipped with high quality stainless steel insulated cabinets where the food can be stored and kept both cool and warm and this without any form of energy. The drawers can be filled with hot water or ice and / or refrigerator blocks, in the gastro pans that are specially made to contain food or drinks can either be kept hot or fresh. An option for a cabinet with two bins is also possible. 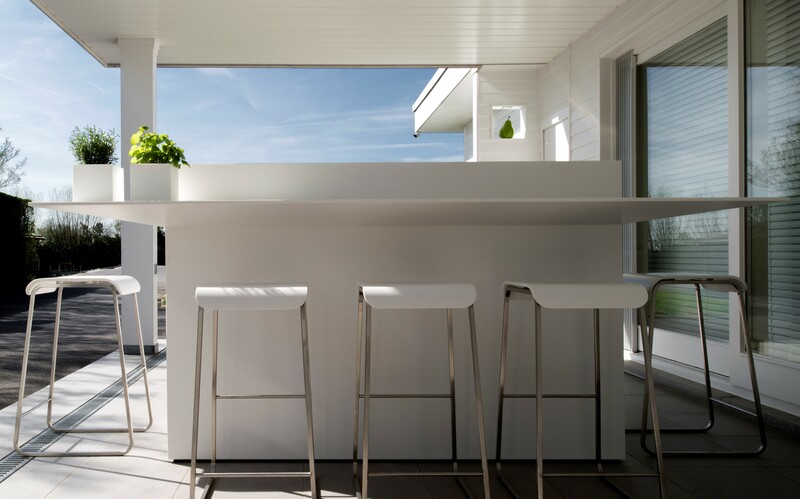 Through an ordinary single 220V powerplug underneath the outdoor kitchen, there can be provided power on the waterproof sockets which are integrated in style. 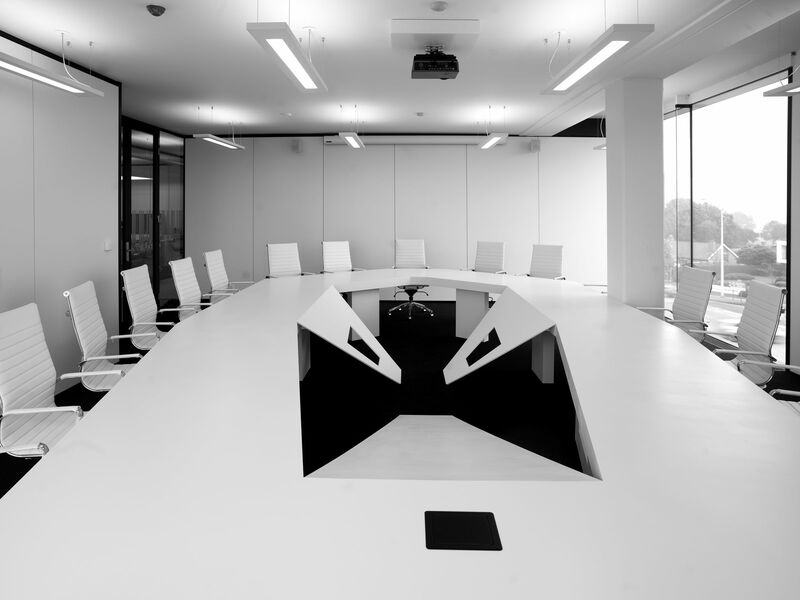 The furniture of course can be fully customized and equipped with various appliances and integrated Corian sinks. Mobitim offers plenty of customization for both the residential sector and the hospitality, healthcare and industry.